Product innovation and quality control is the foundation of Biobizz success. Ecologically aware and socially responsible Biobizz scientists and technicians use the very latest technology available for periodical and thorough quality inspections. Their commitment to quality and the environment has created a loyal customer base in and beyond Europe, extending to include North and South America, Africa, and the Middle East. Fish·Mix enables substrates to stimulate bacterial flora and accelerate growth. It is an infusion of organic fish emulsion from the North Sea mixed together with extract of Dutch sugar beet. Fish·Mix™ boosts growth of all living organisms in the substrate, as well as improving and stimulating production of microorganisms and useful bacteria in every type of soil and coco-based substrates. 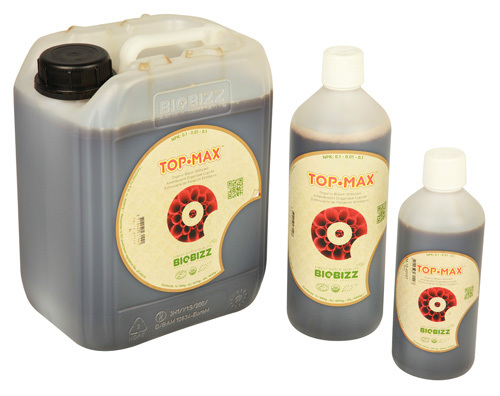 Top·Max is a 100% organic flowering strengtheners which has the threefold purpose of increasing the actual size and weight of clusters of flowers, leaving a sweet, smooth taste in the finished product and facilitating the uptake of nutrients by the plants. Top·Max liberates ions like calcium, iron and magnesium, which stimulate the metabolism of the plant. Alg·A·Mic destresses the plant after overfeeding, deficiencies, plant diseases or after temperature differences. A stress-free plant results in larger fruits. Besides, Alg·A·Mic ensures green leaves, by stimulating the absorption of chlorophyll. Root·Juice allows an optimal development of the roots of the plant. It moreover stimulates the growth of the plants that are already rooted because Root·Juice imitates the natural life of the soil in the surroundings of the rooting. Through the strong growth of the roots, the plant is better prepared to absorb nutrients. This results in a strong plant, which guarantees a good harvest to all plant-breeders. Bio·Heaven improves the effects of all foliar sprays and fertilizers used to feed the plant. 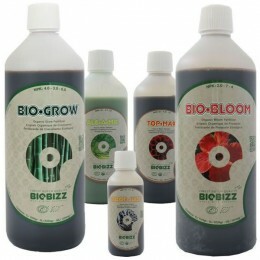 At the same time Bio·Heaven rids the plant of toxins, it repairs the chlorophyll production and restimulates the plant. By using Bio·Heaven™ the plants’ energy will be increased! 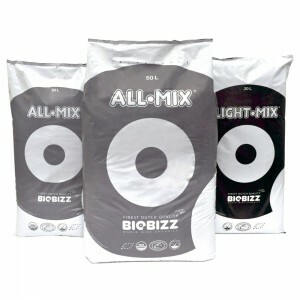 All·Mix is a heavily pre-fertilized soil mixture. It has been designed to emulate rich outdoor soil with a full micro active eco system, but in such a way that it has enough power to sustain lush plant growth for a couple of weeks with no extra fertilizer input required. All·Mix® creates fertile growing conditions throughout the year. Light·Mix is the ideal substrate for organic growers who want to control their plant growth by applying liquid fertilizers (right from the initial growth). Micro activity is created as the liquids work with the soil to produce organic catalysts. Light·Mix is also ideal for cuttings, young plants, and seedlings. This soil mixture ensures rapid root development as well as a vigorous initial growth. 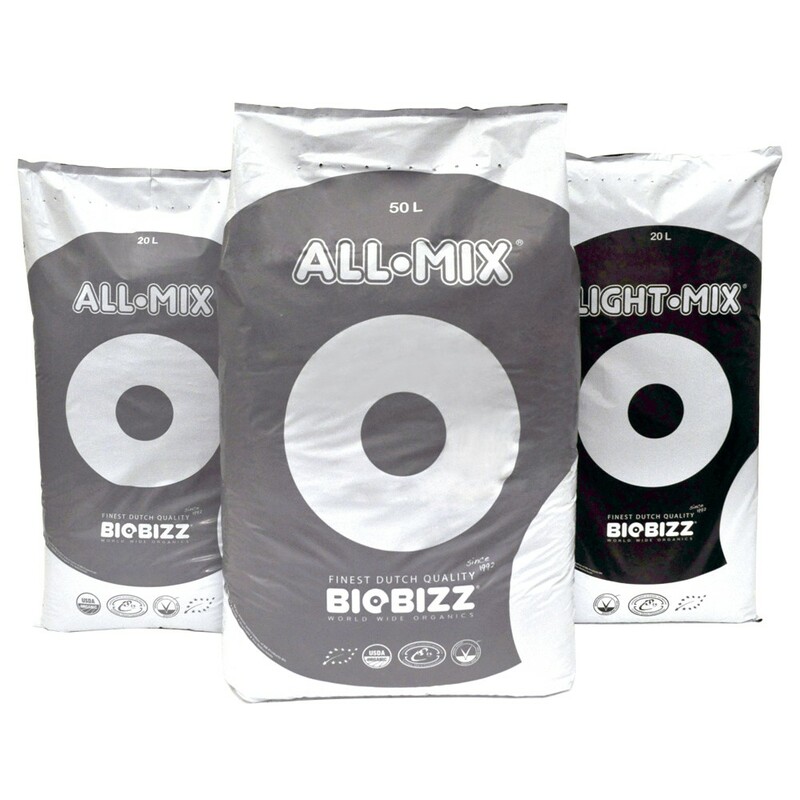 Biobizz Coco Mix is probably the best coco coir, 100% organic product on the market. Coco•Mix contains Coco coir, a waste product of the coconut industry, has proven to be an ideal medium in which to grow plants. To allow coco fibre to become useable, the organic matter must first decompose over a period of time so that the strong fibres are softened. The material is then washed and shredded to become the familiar substrate we all know.